The forests will be busy in early August as orienteers compete in the Nokian Tyres World Orienteering Championships in Latvia on 4–11 August 2018. Nokian Tyres is sponsoring the world championships of this challenging and rewarding sport for the third time. Nokian Tyres World Orienteering Championships takes place in Riga and Sigulda in Latvia. 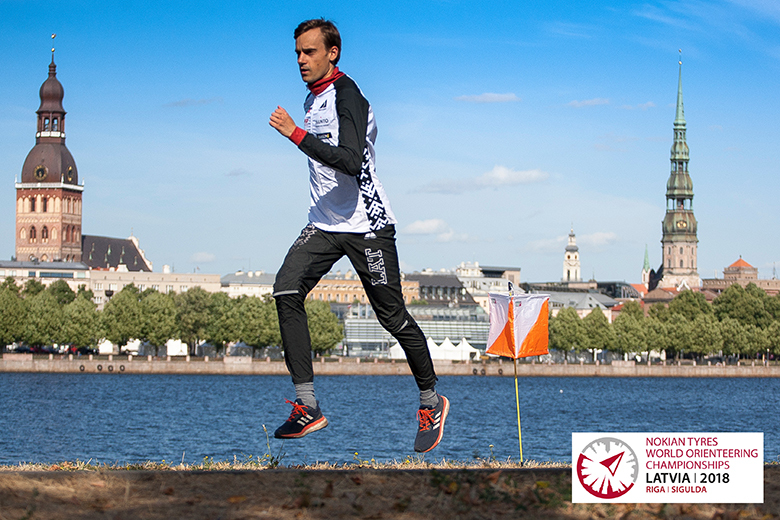 During the championships week, elite orienteers from nearly 50 countries compete in five events: sprint, sprint relay, middle distance, long distance and relay. The partnership between Nokian Tyres and the International Orienteering Federation (IOF) started already in 2016. Last year, they signed a new, multiple-year contract concerning the title sponsorship of the World Orienteering Championships and IOF’s main partner status which can also be seen in the Orienteering World Cup. The enthusiasts of this sport that is very popular in the Nordic countries and Central Europe look for challenges and enjoy exercise, outdoor activities and nature. The cooperation between the international orienteering community and Nokian Tyres has been natural from the beginning. The sport is an excellent match for the company’s values that promote safe mobility, adventure and an active lifestyle. – Orienteering is a great, surprising sport that combines experiences from exercise, the appreciation of nature and testing your mental and physical limits. The whole family can take part, and it is also a great match for our company culture. Skill, determination and believing in your own abilities can drive individuals and companies alike, says Antti-Jussi Tähtinen, VP of Marketing for Nokian Tyres. The world’s northernmost tyre manufacturer is an expert in challenging terrain and changing weather conditions. Nordic values and the desire to be a pioneer in sustainable development can be seen in the company’s safe and eco-friendly products. – The Orienteering World Championships and other orienteering events, such as the World Orienteering Day, offer us an excellent platform for presenting the Nokian Tyres brand with this sport that promotes outdoor exercise and adventure, Tähtinen adds. − Nokian Tyres is an excellent partner for us, since the company's product development focuses on the expertise of challenging conditions and eco-friendliness, both of which are also important for orienteering enthusiasts. We are very happy to have Nokian Tyres as a title sponsor, says Tom Hollowell, CEO of the International Orienteering Federation. In addition to orienteering, Nokian Tyres is also promoting a healthy lifestyle as the main sponsor of the Nokian Tyres IRONMAN 70.3 Finland triathlon event.